I have been in the middle of a large home renovation project (and impending move), and all my craft supplies have been packed up and moved to the new place - I have been missing them terribly. 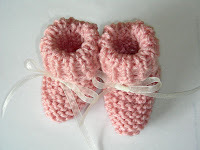 I finally broke down and brought some knitting needles home and knitted these baby booties in one evening. 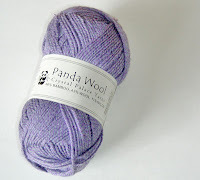 I also got some yarn for making 4" squares for Oliver's Blanket. I already made my first one last evening and hope to make a few more in the next several days.